Sonoma State made national headlines earlier this week in response to an Associated Students Productions employee's request for Audrey Jarvis, a junior working freshman orientation, to remove her cross necklace. Jarvis is now working with Liberty Institute, a nonprofit legal organization defending religious liberty, to seek a religious accommodation from SSU. "Somebody made a mistake," said President Ruben Armiana, who issued a university-wide apology five days after the incident. "It should not have happened . . . you are free to display whatever religious instrument you wish." Erik Dickson, director of ASP, was identified as the employee by Jarvis' litigator, Hiram Sasser. At the freshman orientation that took place June 27, Dickson told Jarvis that the CSU chancellor had a policy against wearing religious items, according to a letter sent by Sasser to SSU administrators. According to the letter, he also told Jarvis that the necklace might offend, intimidate or discourage students from joining ASP. Dickson has since reached out to Jarvis and Armiana to apologize for his mistake. He has not heard back from Jarvis. Jarvis and Sasser interviewed with Fox News on Tuesday, July 2, which virtually sparked a national debate over what seemed to many as a stifling act of religious oppression by the university. "This is not a discriminatory campus," said Associate Vice President of Communications Susan Kashack. "One person made a mistake, a very grave mistake, and it does not represent the feelings of the university." Jarvis plans to meet with Title IX Coordinator Joyce Suzuki on Monday to discuss the religious accommodation she is seeking from SSU, which would grant her an exception to practice her religion. Kashack said, however, that the accommodation is not needed. "We do not have any kind of policy or practice that limits anyone's ability to practice religion or culture, nor is there any such policy at the chancellor's office," said Kashack. "When they meet on Monday, I think [Jarvis and Sasser] will be told and understand that the accommodation isn't necessary." The incident follows a semester that, for many students, was a significant sign for change. After the defacement of a Black Scholars United poster, along with many other acts of intolerance, hundreds of upset students met to discuss discrimination on campus. 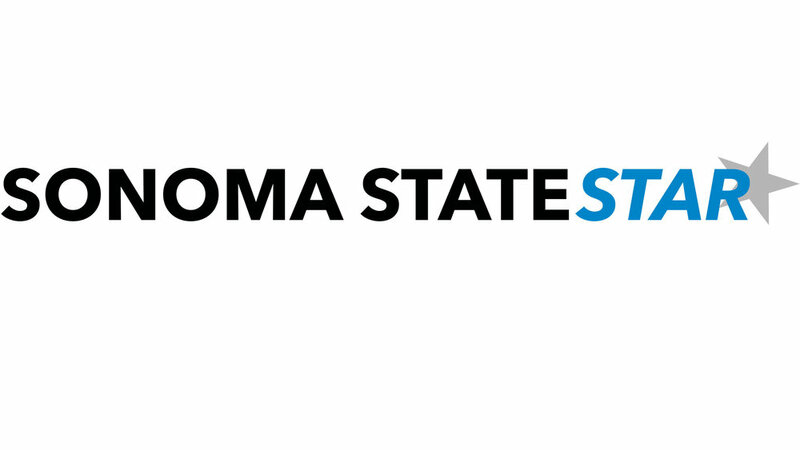 In late April, the Academic Senate passed the SSU Statement on Civility and Tolerance which expressly opposes religious intolerance, along with all other forms of discrimination. "All the events of this past year indicate that we need to continue working to create the kind of respectful and inclusive community that a university should be," said Margaret Purser, chair of the SSU Academic Senate. Former SSU student Amanda McNulty said she thinks faculty should take courses on diversity and acceptance. "I find my psyche has been traumatized by the lack of acceptance," said McNulty. "I am personally filing a harassment claim due to an encounter that was not handled." Jonah Raskin, professor emeritus at SSU, said he thinks students should be able to wear religious symbols as a freedom of expression protected by the Constitution. "I can also understand the reasoning of the person - or at least I think I can - who asked the student to remove the cross," said Raskin. "We live in a volatile society and sometimes a little thing sparks violence or hostility." As of now, Jarvis and Sasser still plan to meet with university officials on Monday, though Kashack maintains the request was a mistake and that it did not represent the university's perspective in any way. "When Ms. Jarvis returns to campus there will be no issues with her wearing her cross or any type of religious or cultural items," said Kashack in a statement. "We hope she returns to Sonoma State as soon as possible."